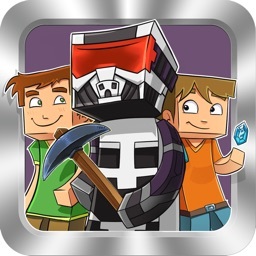 **IMPORTANT** This app requires your Minecraft server to have RCON enabled and set up correctly. 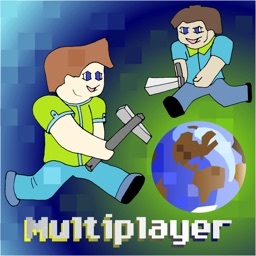 Server setup and portforwarding is your responsibility. Some help for RCON setup can be found on the website: perrymitchell.net. 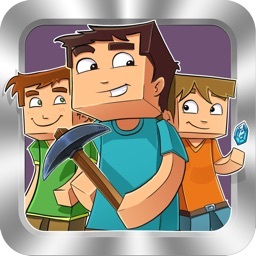 Minecraft 1.7 or newer is also required. 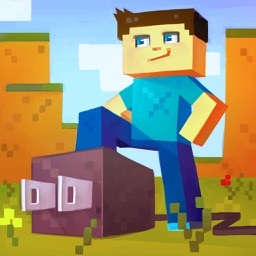 Running a Minecraft server? On the go with an iPad or iPhone? Want to manage your server remotely, wherever you are? 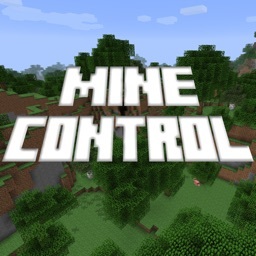 Mine Control taps in to Minecraft's RCON (remote control) server protocol to allow you to interact with your world. 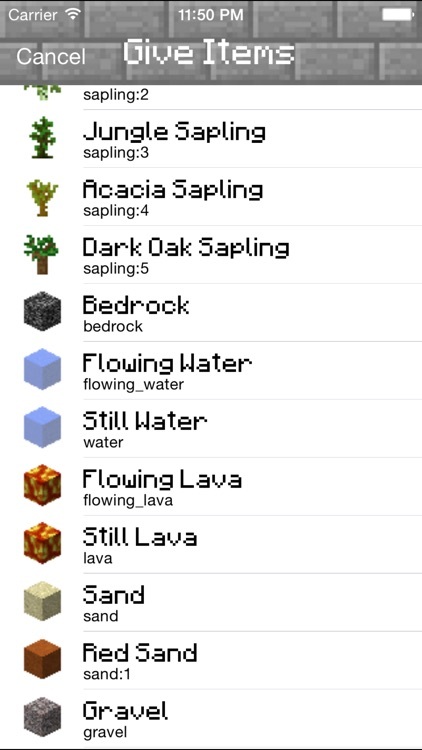 Mine Control uses a friendly user interface to provide access to essential server commands that make administrating your Minecraft servers so easy, you'll want to leave the app open while playing. 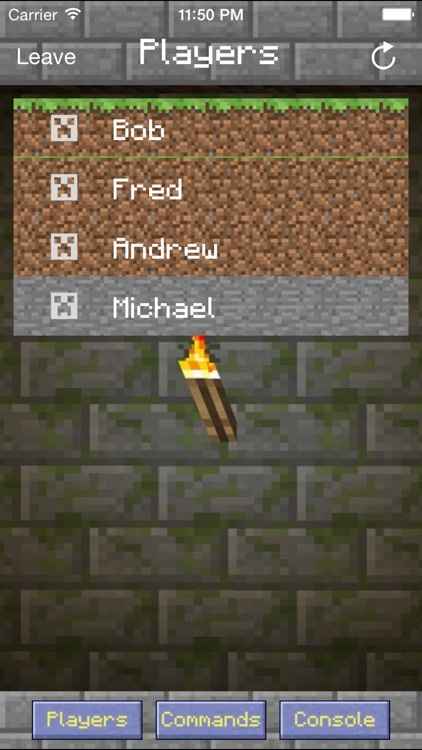 Interact with players on your server by pulling up the player list in-app. 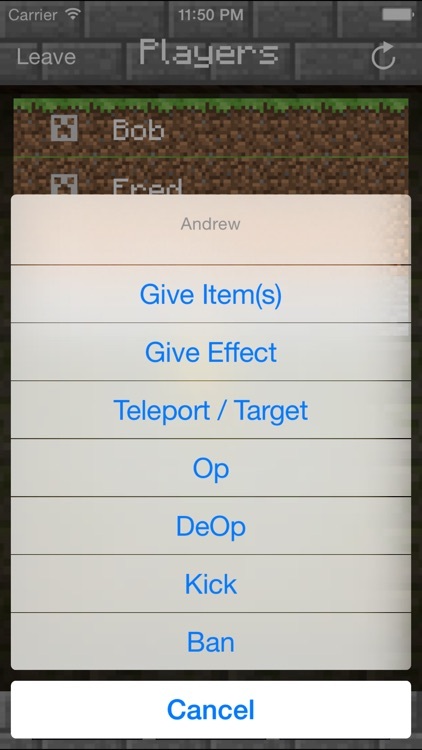 You can whisper messages to players, teleport them around and even give them items from an item-catalogue. 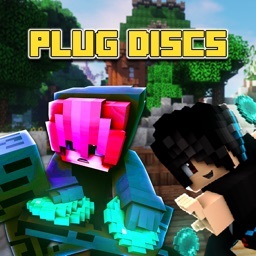 As an RCON administrator, you also have the ability to kick and ban players connected to your server. 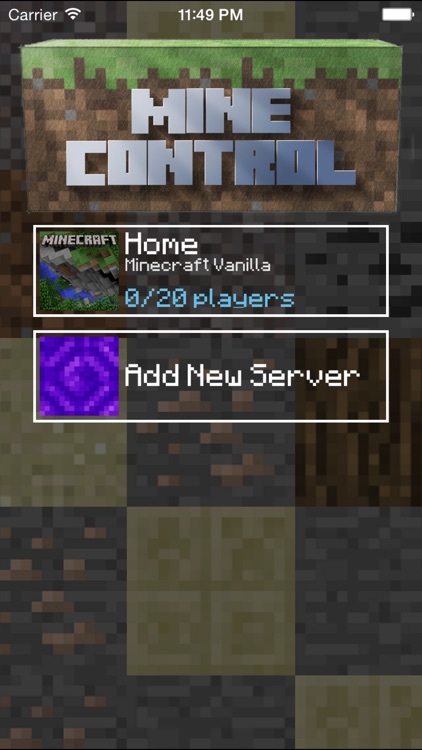 Mine Control is compatible with Vanilla and Bukkit servers of the latest versions. Mine Control may function with other types of servers, but a positive user experience cannot be guaranteed. 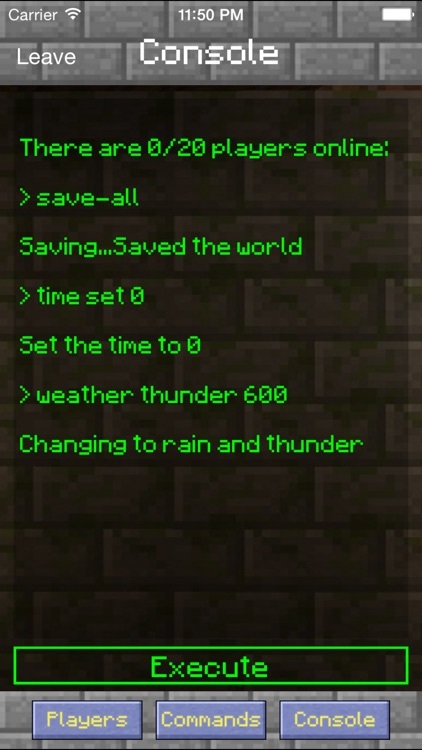 The new version includes multi-server support, dashboard player stats, and a command console. Mine Control uses a UDP based RCON library, which makes it quite effective for use over a 3G network. Tested to be functional and responsive on an iPhone over a 3G connection.